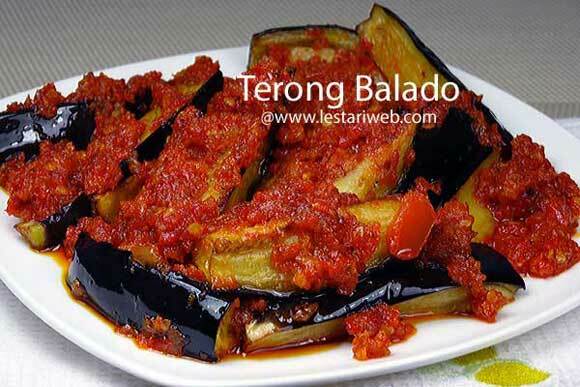 Balado is a popular dish which originated from the Minangkabau ethnic group of Indonesia and now commonly served across the country, known as Padang's food. 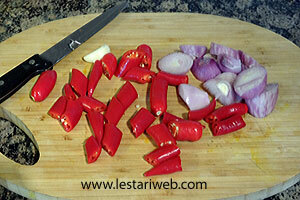 One of the characteristic foods of Minangkabau culture, it is usually hot & spicy. 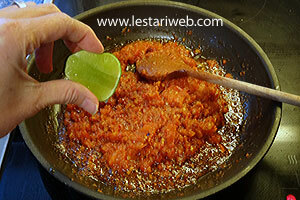 Compare to Javanese who like to have their meal a little bit sweet, the Minangkabau people almost never add sugar into their cooking recipe, unless for dessert or snack ;-). 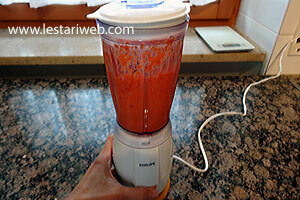 Put shallots, garlic and chilies in a blender or food processor and blend until smooth. 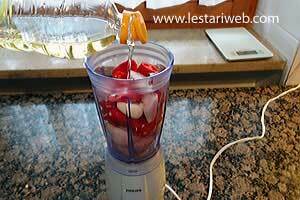 (If necessery add a little bit oil to help the blending process). Put aside. 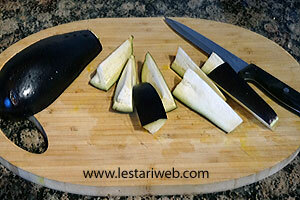 Wash the aubergine, remove the cap and slice it lengthwise (unpeeled). 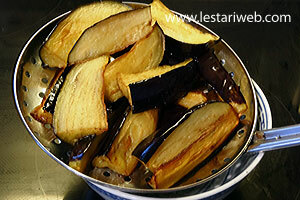 Heat about 100 ml / 3 fl.oz and fry the sliced aubergine until golden brown. 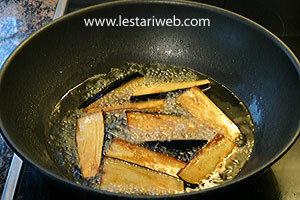 Heat 2 tbsp used oil in a frying pan and stir fry the paste. 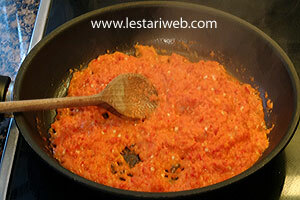 Stirring all the time until fragrant. 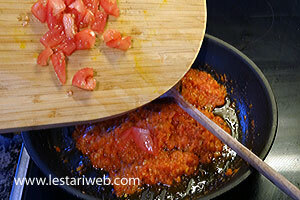 Add chopped tomato and cook until tomato just wilted. 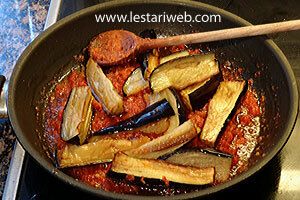 Stirring frequently to prevent burning. 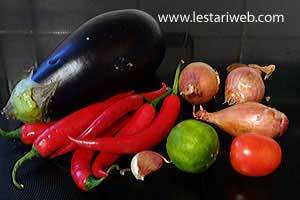 Adjust the taste. Ad salt if necessary. 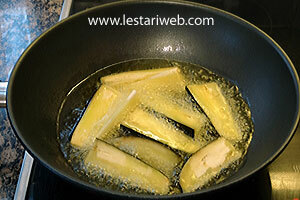 Add the lime juice and stir to mix.